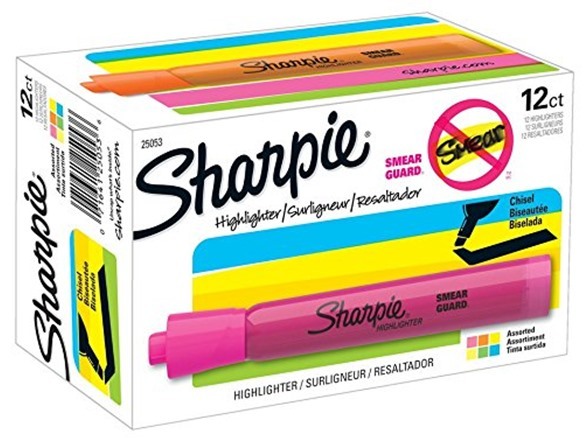 You don’t have to worry about running out of ink with the bold Sharpie Tank Highlighter, which features a large, long-lasting barrel that provides a smooth, consistent supply of vibrantly hued ink. The easy-glide chisel tip is ideal for highlighting key words and phrases, as well as underlining precise lines and paragraphs. 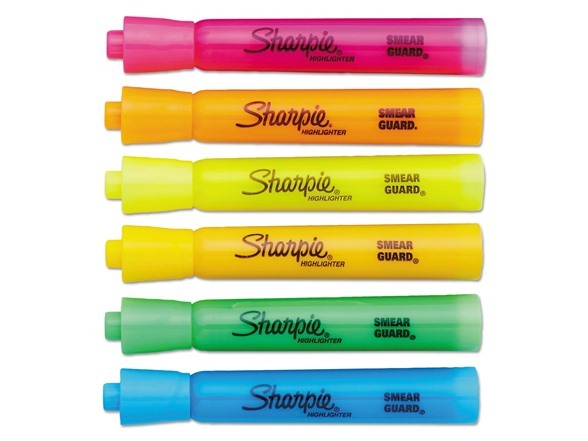 See-through Smearguard ink keeps text clear and easy to read, so you can mark up important documents for later reference. The ink dries quickly to minimize smearing and smudging, and the color resists fading for worry-free use on most paper and ink types.